I can’t believe we’re already at this point where I’m writing my “God” blog – that means we’re almost at the end of the month, and January is almost over!!! Times flies when you’re having fun? Genesis 12: 20 And Pharaoh gave men orders concerning him, and they sent him away with his wife and all that he had. Genesis 13: 1 So Abram went up from Egypt, he and his wife and all that he had, and Lot with him, into the Negeb. The thing that struck me about this passage was Lot was never supposed to travel with Abram, but Abram took him along for the journey anyway. When God spoke to Abram, He specifically said that Abram should leave his kindred, his family, but Abram took Lot with him. It got to a stage where the land could not support them both, and they were forced to separate, but notice God did not speak to Abram again until Lot separated from him. When I read it, I first of all went to look up what the name “Lot” meant, and found that it meant a covering or a veil. The revelation I caught was this: when God tells us to “go” we must leave our “Lots” behind or we will be hindered and miss the voice of God. As long as lot was around, there was a veil between God and Abram because Abram was never meant to travel with Lot. So what does this mean for us practically? In our lives, I think our mindsets, and insecurities are our “Lots”; God sends us to places, and gives us dreams and visions and journeys to accomplish, but we start them carrying the old mindsets and insecurities that will be nothing but harmful to our journey or process. As long as we are carrying those things on our journey, we won’t adequately be able to hear the voice of God, and until we shed those things, we may not hear the voice of God clearly. I love that God spoke to me at the beginning of the year, because I know God has so much for me this year and part of that is that I’m getting married. Even as I’m getting married, I have to leave my “Lot” behind. If I carry “Lot” into my marriage, the effects will be horrendous! God has sent me on this new journey, but he had no intention of me bringing “Lot” with me; I must leave Lot behind. 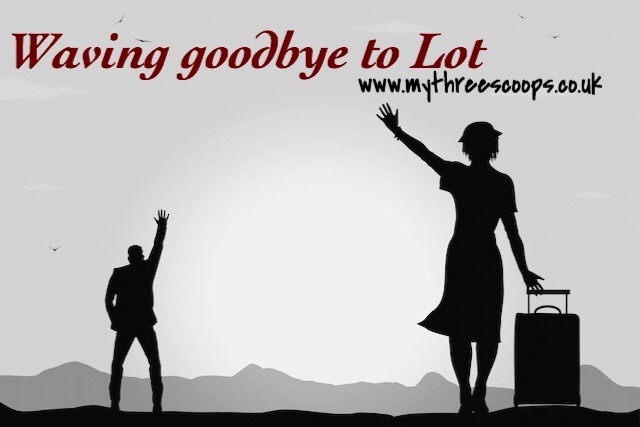 So as I sign off this post, I encourage you all to leave Lot behind this year. Go with God, and leave all the extra baggage and watch him do his thing!